A passing plane gets through the storm by staying below the clouds. A hen Mallard finds her own sunbeam in the otherwise dark side of the pond. The remnants of a winter storm move inland. 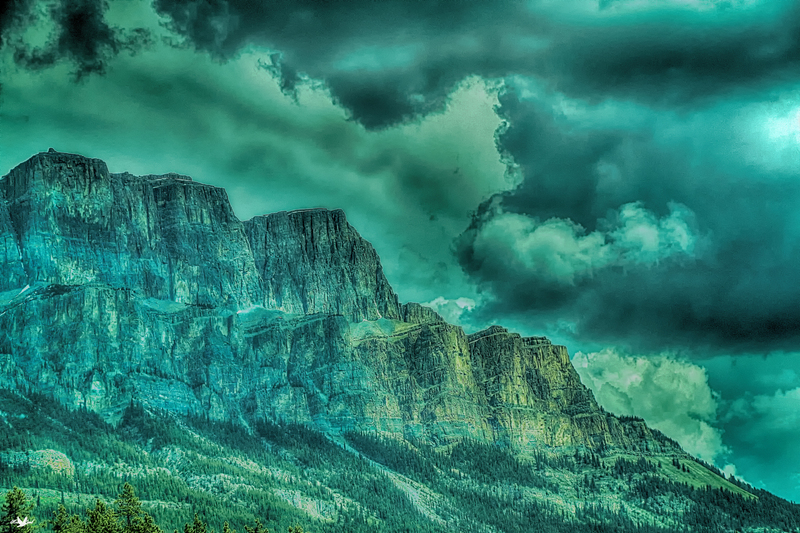 A storm approaches the mountains in the Banff/Canmore area. Sorry, I don’t know the mountains name.